للمسافرين الذين يرغبون أن يعيشو كل ما تقدمه كرايستشرش, Strathern Motor Lodge هو الخيار الأمثل. يمكن من هنا للضيوف الاستمتاع بسهولة الوصول إلى كل ما تقدمه هذه المدينة النابضة بالحياة. سوف يعشق النزلاء موقع هذا الفندق، فهو قريب من أهم المعالم السياحية في المدينة كمثل كانتربوري, بوتانك جاردنز, Punting on the Avon . يقدم Strathern Motor Lodge خدمات لا غبار عليها وكل أشكال اللياقة وحسن الضيافة اللازمة لإسعاد ضيوفه. هذه بعض الخدمات الموجودة في هذا الفندق: واي فاي مجاني في جميع الغرف, مرافق مخصصة لذوي الاحتياجات الخاصة, تسجيل وصول/خروج سريع, تخزين الأمتعة, واي فاي في المناطق العامة. في الفندق غرف نوم يتجاوز عددها 16، كلها مجهزة بعناية وجمال وبعضها مزود بـ تلفزيون بشاشة مسطحة, اتصال لاسلكي بالإنترنت, اتصال لاسلكي بشبكة الإنترنت (مجاني), حوض الاسترخاء, غرف لغير المدخنين. صممت خدمات الاستجمام في الفندق والتي تتضمن سبا لمساعدتك على الاسترخاء والراحة. 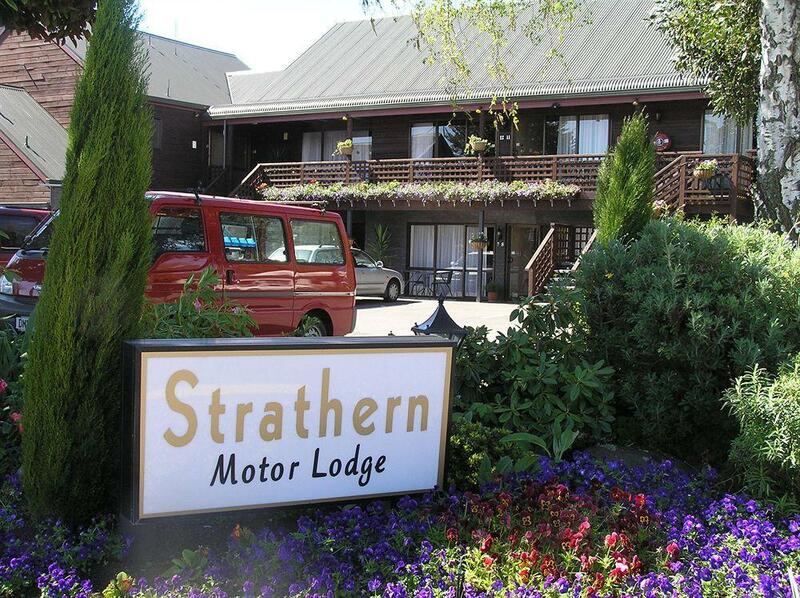 يحظى فندق Strathern Motor Lodge بموقع ممتاز وخدمات يصعب منافستها. We stayed with a toddler (9 months) and that worked great. The room was clean and we had what we needed. Staff were nice and it was a calm area. It was great to be able to wash clothes in the guest laundry (for a cost). The one thing I remember was that the doors squeaked so a good thing would be to fix that. Besides that we were super happy with the place. Cleanest motel every day, quiet and great beds to sleep in. Probably could do with a refurb but was very comfortable and enjoyed our stay. We had stayed at 4 different locations prior to arriving at Strathern for the final leg. 8 days. Our stops were 3-8 days of similar value and allowed us to compare. In short, if I was a Kiwi, Strathern would be just fine. Good: Value for money if you're local Friendly staff and always available, apartment cleaned every day, quite close to food outlets and Merivale mall. Not so Good: Wi-Fi was atrocious. Previous places we stayed at had 100Mbps free Wi-Fi. This lodge, the Wi-Fi might last 1-5 mins with speeds of around 1-2Mbps. There were 3 of us (iPhone X, iPhone 8 and Samsung S9) and we struggled to even get maps to work to find our way around. We ended up paying for Travel packs to cover our data usage. Bring along your own shampoo, cream and soap. The May Chang products don't work well with the Hard Water. Also the lemon grass smell is overpowering and is the major ingredient in all their products. Dated. Shower cubicle had some grubby spots. Shower head 1.65m from the floor. Friendly helpful staff. It was in a great location comfortable room. Just would like a better shower and it would be 5 stars all the way. We were visiting family in Christchurch for the weekend ( with our two small dogs) and wanted to be independent. 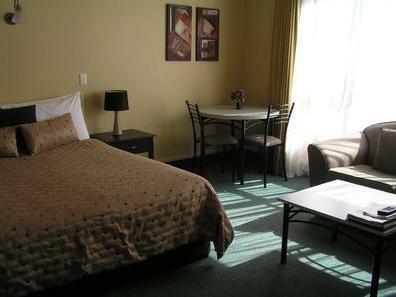 Have stayed at Strathern Motor Lodge in the past and found it a relaxing experience. So I looked on Agoda and got an awesome price for the honeymoon suite. Well, what can I say? 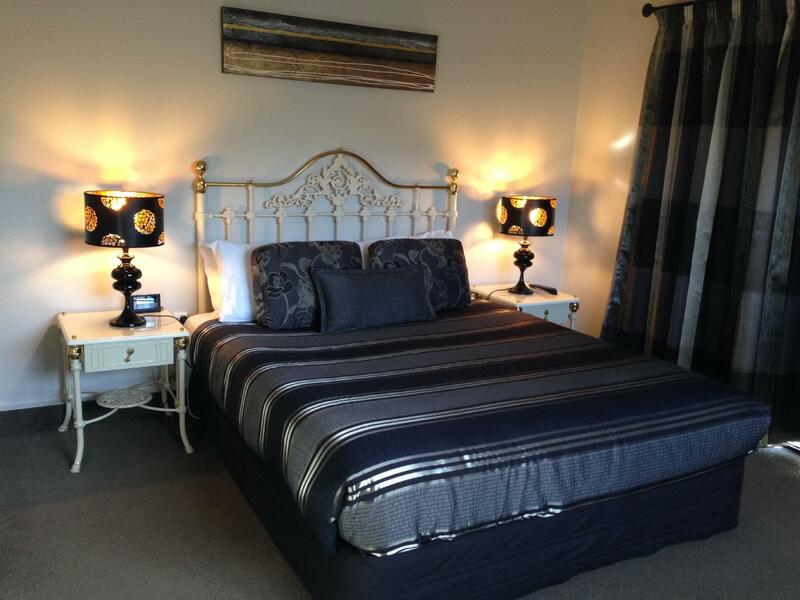 Nicely decorated, black out curtains, extremely comfortable huge bed, very clean, fabulous spa bath. Was great to have a coffee pod machine and sit outside in the evening sun. Despite being on Papanui Road, there was no road noise at all .....very quiet. . Thank you so much. We will return..
Clean, tidy, nice size and well located. This motel was great value for money and made the effort with the little extras. The new heat pump was on warming up the room for my arrival, comfortable bed and Nespreso machine (and plunger) for thjise that want coffee. The room we stayed in was fine overall. A few things to mention: the Tv was in a terrible spot and could not be watched from both sides of the bed/ couch/ dining table, it was on wheels but cords only reach so far. The floor boards are sooo creaky and the shower floor even worse. We ordered breakfast for our check out day and it was less then ideal. Order was not completely correct but let that slide. The bacon looked barely cooked and the scrambled egg seemed microwaved. The tomatoes were canned prior to heating... 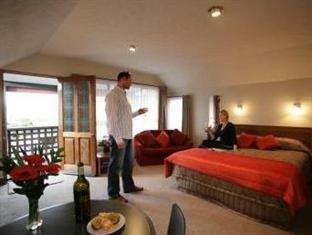 Overall the stay was fine and the owners were very accomodating with our late arrival and early departure. 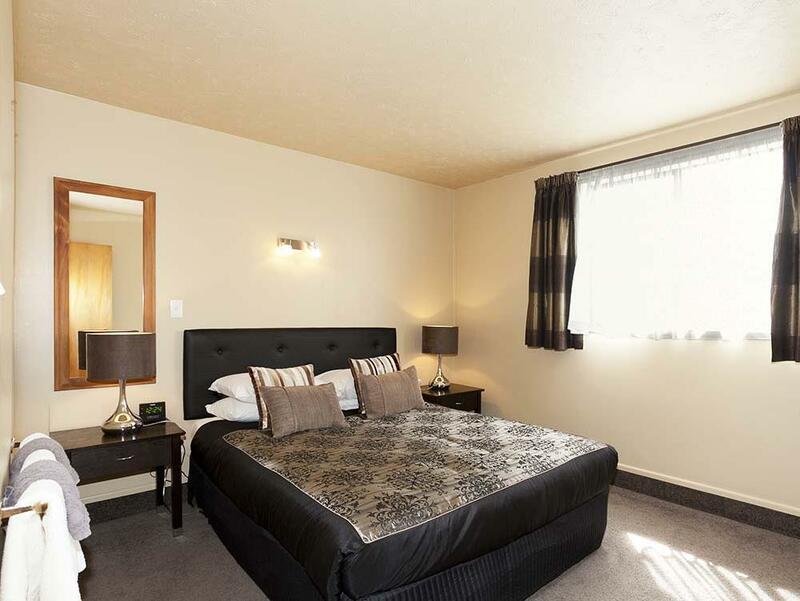 Very roomy suite, very clean . Just a 10 min walk to central square. Great place. Totally excellent lovely people nice rooms would be happy to recommend to anyone. Excellent value for money. hope to stay again. Very clean and comfortable Motor Lodge, Michelle at reception is extremely professional and helpful, she could certainly teach other receptionists what customer service is all about, greatly appreciate that the heating had been turned on before our arrival, was warm and cosy. Our first time in Christchurch, also first time staying in a place other than hotel. We actually liked it better than a hotel. The building might be old, but very well maintained. We really enjoyed our stay there. Thanks for the hospitality. Good bed, nice sofa and kitchen and a beautiful garden. Disappointing factor was the bed. It was old and suffered roll into the middle syndrome. The pillows were cheap hard rubber and gave me a neck ache for the next 24 hours. Only stayed 1 night to attend a show but a great motel with lots of space and very nicely furbished. Our stay was superb. The Motor Lodge is a gem. Pleasant with clean modern facilities. Reception was friendly and staff obliging. The facility was on a major arterial route but well insulated for noise. We had a 2 BR apartment for our 2 night stay. 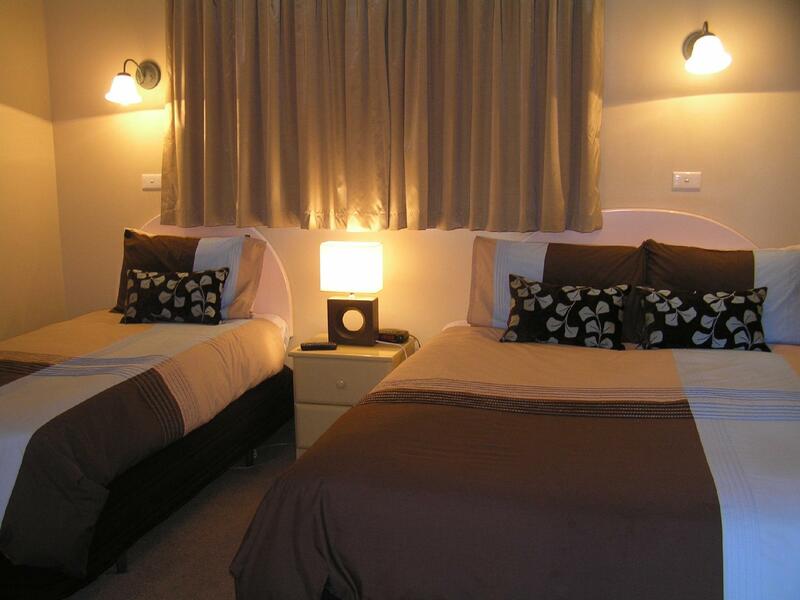 Nice and quiet, very convenient to the city centre, also not too far from the airport. Well equipped kitchen. Appreciated the free wi-fi.